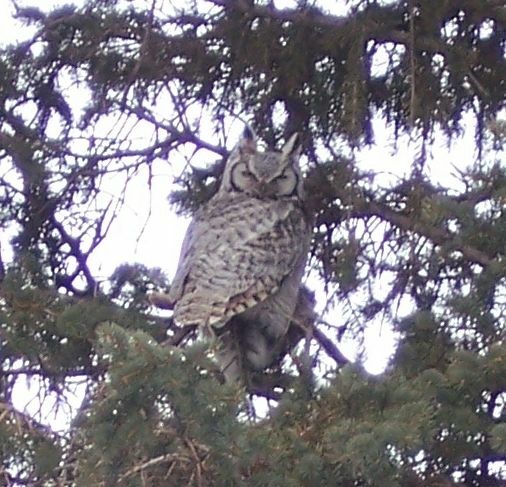 This owl has been around the area for a few weeks now. On a separate occasion I was riding my bike, and the owl kept getting closer and lower. It was probably about 20 feet from me. Photo from the Wheelock area, Williams Co. Appeared to have just captured prey in a field near the road. 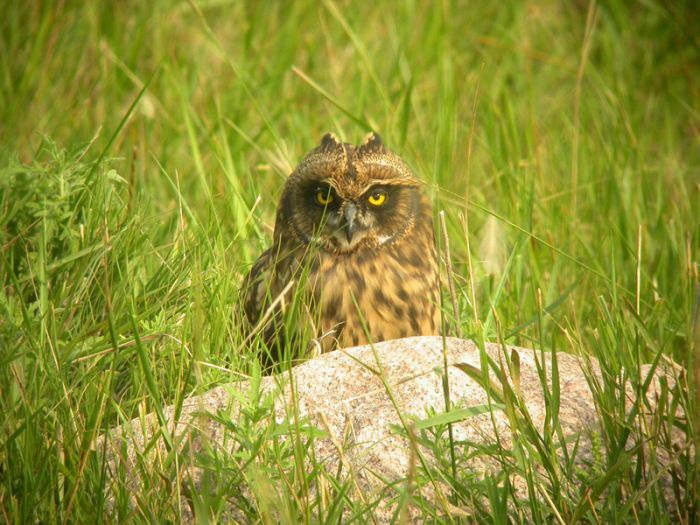 Peder Stenslie & his sons, Johan & Kristian, found this Short-eared Owl on a county road south of Mandan along County Road 82, Mandan, ND. 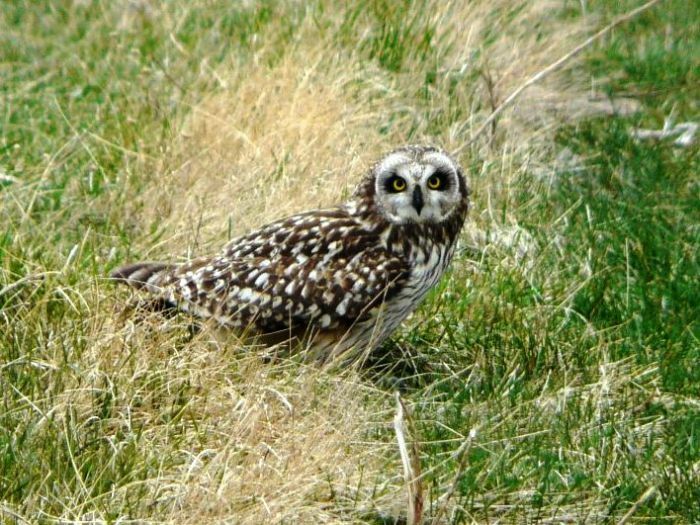 Here is a second Short-eared Owl photographed by Johan Stenslie southwest of Mandan. In all we saw at least 10 different Short-eared Owls in this area. Found by Dan Mason while driving in rural Cass county 9 miles north of exit 320 on I-94; or 3 miles SE of Ayr, ND. Digiscoped image by Dave Lambeth within Section 31 of Brenna Township, Grand Forks County. 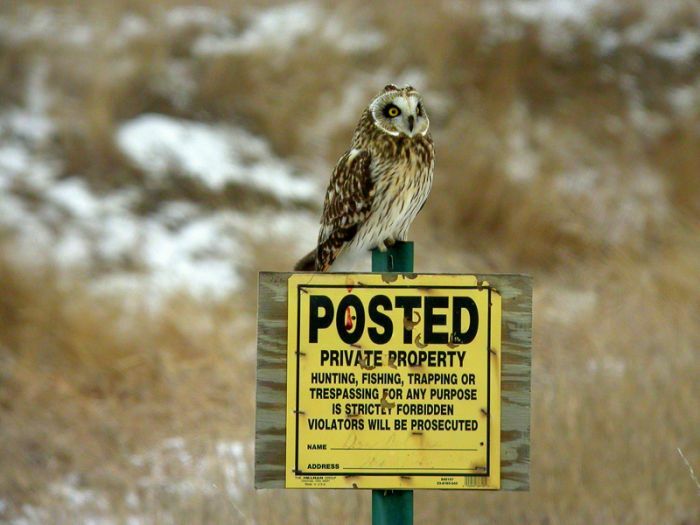 Apparently Short-eared Owls don't bother to read signs! Taken: 2006-12-08 Grand Forks County grasslands. Digiscoped image by Dave Lambeth.